It is always a pleasure to meet our alumni but my most recent research trip to Barbados proved extremely special in this regard. 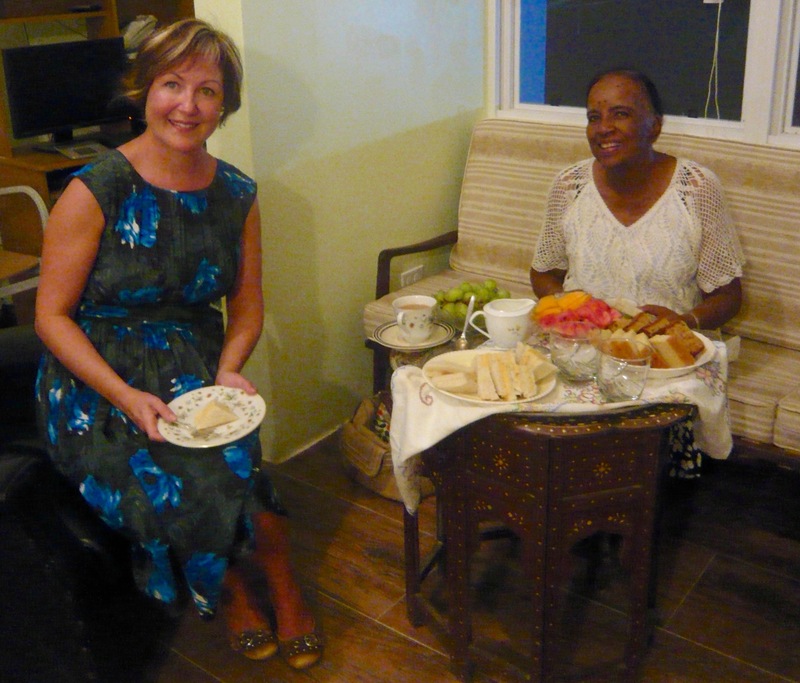 I was invited to tea by Mrs Gloria Quintyne (nee Rollock), who had not only studied for an English (Hons.) degree at Reading between 1954 and 1957 but was also awarded top marks in literature and won the Alice Seymour and Percy Sharman prize for Literature attested by JJ Johnson, then Registrar. Mrs Quintyne shared her memories of studying eighteenth century literature, of annual dinners conducted in Latin, of Monday morning one-to-one tutorials and of Lord Wolfenden (the then Vice Chancellor) joining students in St. George’s Hall for dinner. Her time at Reading had clearly been a very positive and rewarding experience. Mrs Quintyne did not return home to Barbados during her three years of study but spent her vacations travelling within the UK and took a variety of jobs, including delivering the post and working in a canned food factory, in order to extend her experience of British society. Always clear that she wanted to be a teacher, Mrs Quintyne was called back to teach at her alma mater, the prestigious Queen’s College in Barbados, as soon as she had completed her studies at Reading. She later gained a teaching qualification and further degrees in Canada. Now in her eightieth year, Mrs Quintyne still embodies the ideals of life-long education and is currently improving her Ancient Greek. Alison Donnell is Head of the School of Literature and Languages and Professor of Modern Literatures in English. Her main research interest is in Anglophone Caribbean Literature. This entry was posted in Department of English Literature news and events and tagged Department of English, Department of English Literature, English Department, English Literature, Mrs Gloria Quintyne, Professor Alison Donnell, Reading, University of Reading. Bookmark the permalink.